Dr. Brett was born and raised here in Burlington. He grew up working in the trades during the summers, and upon high school graduation decided to attend UW-Whitewater. He graduated with his Bachelor of Science and moved onto Davenport, IA where he attended and played rugby at Palmer College of Chiropractic. Dr. Brett graduated with honors in October 2010 and decided, with Dr. Raechel, to move back home and serve the Burlington community. His hard working summers in the trades proved to be very helpful during the build out of our office in 2011. In October of 2011, Drs. Brett and Raechel were blessed with the birth of their son, Graham, at home. In the previous nine months, Dr. Brett developed a passion for caring for pregnant women as he was able to see first-hand the power of chiropractic care through pregnancy.He continued on in his education to become Webster Certified through the International Chiropractic Pediatric Association (ICPA), and sees more moms than ever. With pregnant moms come babies, and Dr. Brett is honored that so many moms trust him to adjust their children through gentle pediatric chiropractic care. His favorite thing about being a chiropractor is seeing patients of all ages evolve into the best person they can be through the expression of their innate intelligence. When Dr. Brett is not in the office, he enjoys spending time with his family, fishing, and really anything outdoors. He is also an active member of the Burlington Chamber of Commerce Ambassador Committee, so be sure to say hi when he's out and about. Dr. Raechel was born and raised in the great Northwoods of Kennan, WI (near Phillips). She does not miss working on the dairy farm, but is grateful for the work ethic and family values that she gained through her childhood. After high school, she received a Bachelor of Science and a minor in business administration from the University of Wisconsin- La Crosse. She then moved to Davenport, IA to attend Palmer College of Chiropractic and unexpectedly meet her husband, which resulted in a lot of time in the student clinic due to his rugby injuries. He's lucky she loves him so much. After graduation in October 2010, she moved to Burlington with Dr. Brett to start a new life together. In October of 2011, Drs. Brett and Raechel were blessed with the birth of their son, Graham, at home. In the previous nine months, Dr. Raechel learned a lot about birth and how beautiful it can be. Thanks to Dr. Brett and his amazing adjusting abilities, she was able to celebrate her pregnancy and enjoy it. She received her certification in pregnancy care and the Webster Technique through the International Chiropractic Pediatric Association (ICPA), which only fueled her passion in teaching about chiropractic care and pregnancy. Dr. Raechel enjoys the flexibility of being part-time at the office, which gives her the opportunity to spend these amazing young years with Graham. She also loves attending frequent pediatric seminars and trainings where she and Dr. Brett are able to sharpen their skills and better serve the community. When Dr. Raechel is not in the office she enjoys spending time with family, educating about the safe and proper use of essential oils, and living without a schedule (which is rare!). In a perfect world, she'd get to sleep in, read and enjoy a 70 degree sunny day outside with her family. Our mission at Core Chiropractic is to empower individuals and families by guiding them through practical steps to reach their health goals. Your body has an amazing ability to heal itself when the brain and nervous system are allowed to optimally communicate. 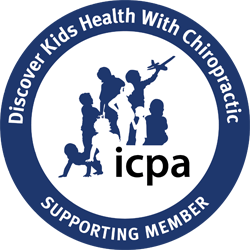 Our vision and hope is for EVERY mother to be under chiropractic care during pregnancy and for EVERY child to be checked at birth for nervous system interference (subluxation). This would allow optimal growth and development from the very start and would impact the health of our kids immensely. As a chiropractic office for all of your wellness needs, we aim to educate and empower our community to restore and maintain health and wellness. We are confident that you will feel right at home in our office, as our patients are all members of the Core Chiropractic & Wellness Center family. We understand that although patients may present with similar conditions, each responds differently to chiropractic care. For this reason, specific plans of action are tailored to meet your specific needs and health goals. We hope that you will find this site helpful in learning more about our gentle chiropractic care, as well as the ways that it can improve your family's quality of life. "I highly recommend these two doctors to anyone who is in search of chiropractic care or health wellness. They go above & beyond for their patients! Luke & I are truly grateful to these two individuals! Thank you, Dr. Brett & Dr. Raechel!"